Right so Steamroller 2017 is on us. We know what the pack actually looks like and so we need to ask ourselves some questions. This week I’m going to do this out loud on my blog. Warning: I probably don’t have all the answers. Second Warning: If I have any of the answers that will be a fantastic start. So I’ve been telling you all to play Doomy 3 in Power of Dhunia for quite a while now, but Steamroller 2017 has been hanging over me like a dark cloud. The basis of the issue is that the list is a beast block with exactly one scoring unit, which is the Krielstone. I had several SR16 tournaments to prepare for so I just kind of ignored it and hoped it would go away. It hasn’t, so now we need to figure out how much of a problem this is and what that means for my precious list that I love so very much. Ok so let’s start by looking at the Scenarios and see how many might be a problem. The Pit 2: Ok so this scenario is absolutely fine. 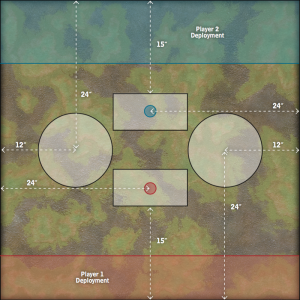 There is one zone that can be scored by infantry and that is central. This means you can score it with your warcaster with no problem. You can then use beasts to score those side zones. Spread the Net: There’s a lot going on here. If you caster is scoring the central zone then what have you sent to the flag to score. This doesn’t seem great if we’re honest. It feels even more spread out than the last. Imagine it like current Entrenched where both sides will score their own zone and the real fight is over the central zone. The main problem with this one is the flags. Breakdown: At first glance this feels like Standoff. 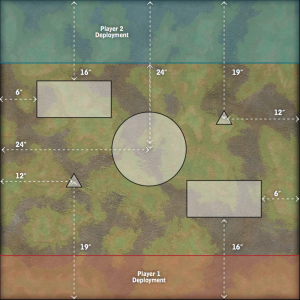 Two wide zones for troops, but lets treat it like 2016 Outlast. 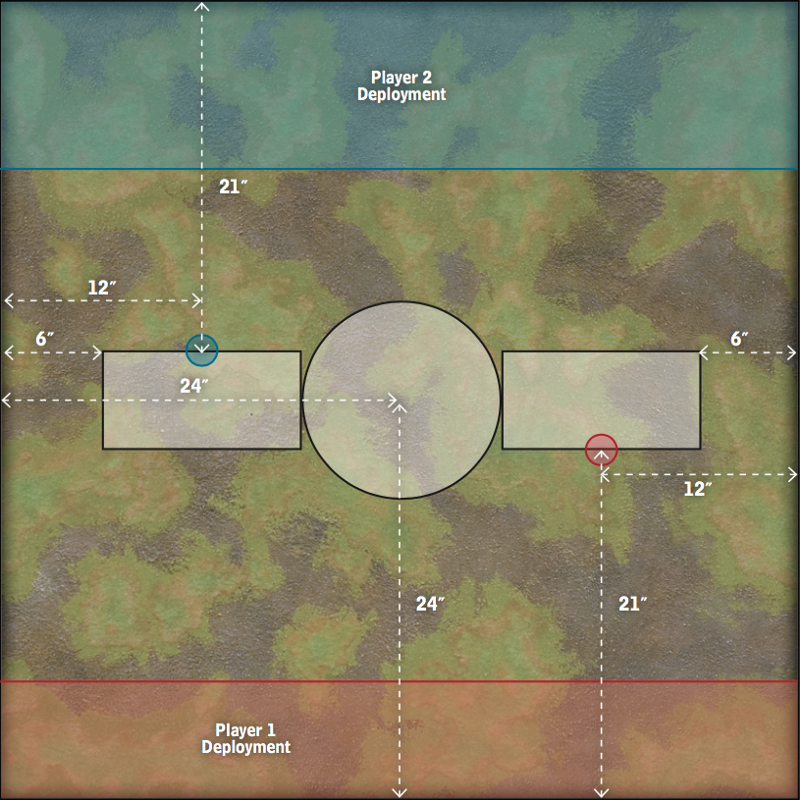 Commit your caster to one zone and then contest the far zone and try and score the middle and your near zone. Doesn’t seem like a huge problem when you look at it that way, right? Recon 2: Oh Recon what have the done to you? You aren’t the scenario we all knew and loved. You’ve shaved your head and had a mental breakdown. Lamenting what we’ve lost aside, this is a really good scenario for us. No zones for troops. A flag we can hold with a shaman easily and two zones that are beast friendly. You may have changed Recon, but you still hold a special place in my heart. Right so it feels like Standoff and Spread the net are bad scenarios for the list and for completely different reasons. Standoff asks you to spread wide with troops you don’t have. 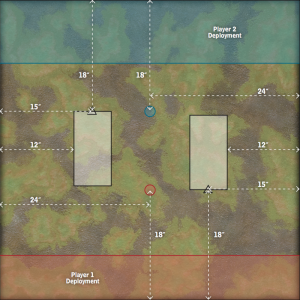 There is a possibility you can push through the middle and take their zone and objective while they are spread too wide and thin, but that doesn’t seem realistic. The second problematic one is Spread the Net. Everything about it is fine apart from those flags. 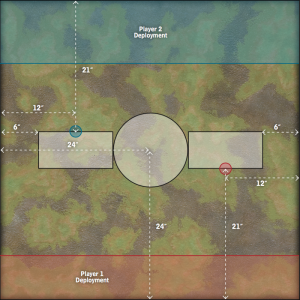 Otherwise you can just score your own zone and push through the middle, I just worry about what a solo with stealth or incorporeal could do over on that flag. Maybe this is a good job for the Storm Troll. Mountain King: Threats 12 inches. Deafen on the spray. The spray altogether. Something that is immune to grevious wounds. Max stone: Means you can’t spread out as much. Especially hurts with upcoming changes to the stone in CID. Storm Troll: It’s been so good for months. Clever solo removal, winning games with the repulsor field and recently lightning immunity that is money in the Cygnar matchup. Runebearer: I’ve been using him recently to repudiate a stormwall so Doomy can throw a Stranglehold. I might consider swapping the Bomber for an earthborn and a runebearer, but that means zero boostable guns. Super effective feats: Good players will pick off all your runeshapers on feat turn if you aren’t careful. More threats: This list has 4 heavies and 2 units. The last list had 1 garg, 2 heavies and no units. Scoring Units: The whole reason we did this right? We want 2 units that can play relatively safe with dig in until we need them. Bomber: in certain matchups the Bomber is a better ranged gun than the MK. Runeshapers: Are runeshapers good enough? The answer is maybe. I might try this list out a few times and see but in reality, I wouldn’t want to change unless I really felt I needed to. 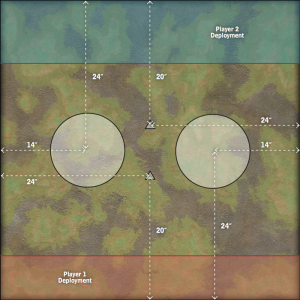 The other big change to consider is how the changes in terrain deployment will affect our lists. From two separate sources in the last week I’ve heard players suggesting they want to move away from Grissel2 to Grim2 to take advantage of Mage Sight. It’s certainly something worth considering. Let’s take a look at what that means and what a list might look like. Grim2 is a very different animal from Grissel2. You might consider them both shooty troll casters and that’s somewhat true to a point, but in the last year I’ve actually ran Grissel2 firstly as a beast brick and then as melee infantry caster in Band of Heroes. Both lists have worked great, but the whole time I’ve shied away from running her as a full on gunline. This isn’t because she doesn’t support them well, she brings Discord to keep a melee force at bay, Reposition on her feat and Deflection which is great for facing other gunlines. Finally she brings a hit buff in the form of the KD on her gun. Gun lines should love her. The sad truth is however that all of our shooty troops are a bit underwhelming. This means it was often better to run our beasts. Later on we ran Band of Heroes purely because it answered the Ghost Fleet question and with Dash and Unyielding on her feat she ran it to a decent standard for long enough for you to get a cheeky assassination. Grim2 doesn’t have that option however, if we want to take advantage of his tasty Mage sight we probably need to take advantage of his feat. That means running a gunline. The first major benefit of this is we get to run the War Wagon. It honestly feels a bit too good for it’s points, but considering we have to run at least one unit of our shooty troops this is probably a fair trade. So this is my first attempt. I like the bushwackers because they can stay a really long way back and then come and score late in the game. They don’t need to play forward because I can use the two huge bases as vanguards. I often won’t mind losing my War Wagon is it gets some kills on the way in and then I can kill whatever they sent in on it with the King the following turn. 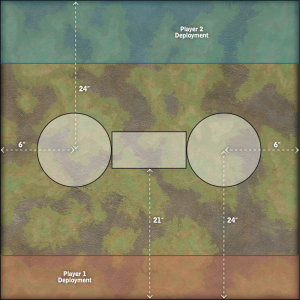 The War Wagon in theory lets the rest of your gunline play furtherback and still contest zones with the War Wagon. Braylen might seem like an odd choice, but she feels like one of our best flag scoring solos. She’ll get solid work done even without highwaymen and might be able to score a flag that is in a forrest relatively safely using Prowl. The downside of course is that this list doesn’t really appear to have much game into Ghost Fleet. The sad fact is that I don’t think you can build a Grim2 list that does as the only RFP would be from Band of Heroes and I don’t think you’d take a list in that theme when your feat is so incredibly gun centric. This list does feel much better into Khador however so maybe the solution is to dodge Cryx rather than dodge Khador. I’m not 100% convinced with these changes. As usual the best course of action is to just play some games and makes some tweaks. I’m going to leave Doomy3 as he is until I’m given enough reason to change. The next two big UK events are 3 list Masters however so I might start using Grim2 and see if he really does benefit from the new terrain setup as much as it feels he should.